It’s a winter sports playground. But there are many things to do in Innsbruck year-round that reveal the culture, style, and elegance of this Austrian city. Its old town is a time capsule of culture and history. Baroque, neo-classical and medieval architecture reveal Innsbruck as a city of grandeur and splendour. For all of this Innsbruck is not a stuffy place. It complements its rich history with modern lines and the vibrant pulse of a city looking to the future while treasuring its past. And fear not if you love the countryside, Innsbruck is a city where nature steals the show, with the Tirolean Alps dominating its skyline. Plus within minutes of the old town you can be up there, thousands of metres above the city. Innsbruck is a tale of two cities (as rightly, is this feature) – its imperial history melding with the modern. 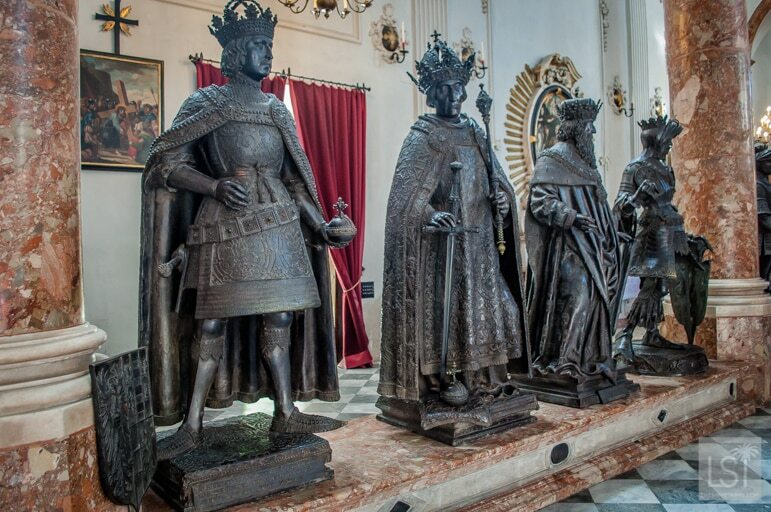 While the Hofburg is the symbol of imperial Innsbruck, the city has a few new wonders too. 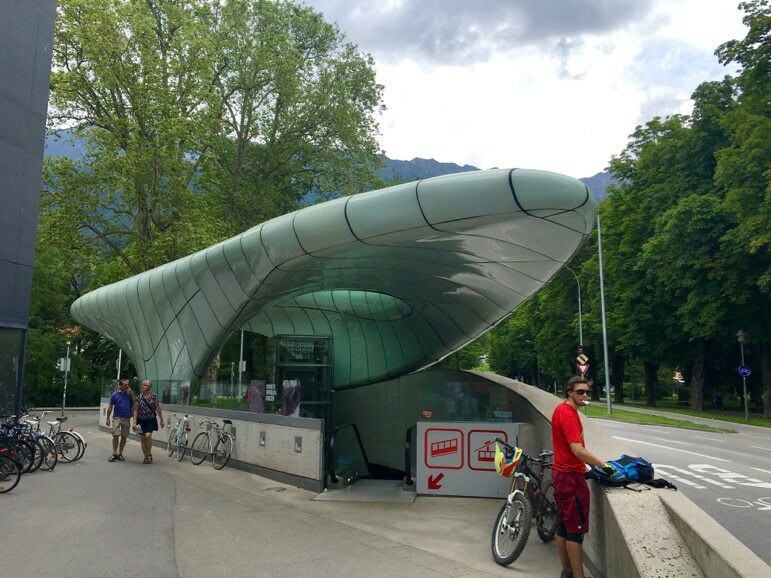 Not least its two mountain access points designed by famed architect Zaha Hadid. 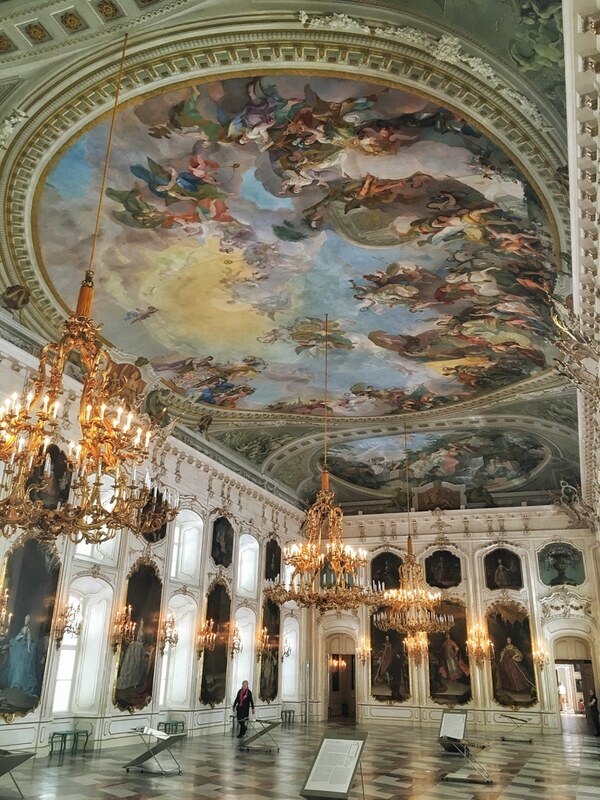 Here’s some of our favourite historical, arty and cultural places to go and things to do in Innsbruck. 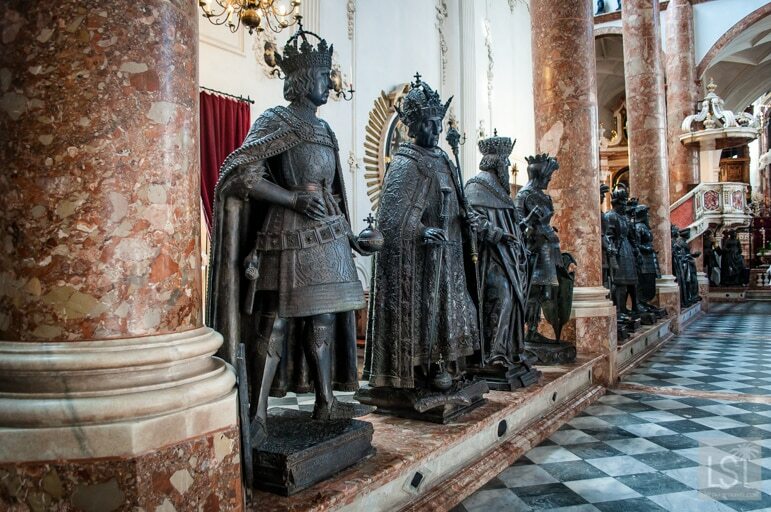 The Gothic Hofkirche or the Royal Court Church was built in the 16th century and has a number of unusual attractions. 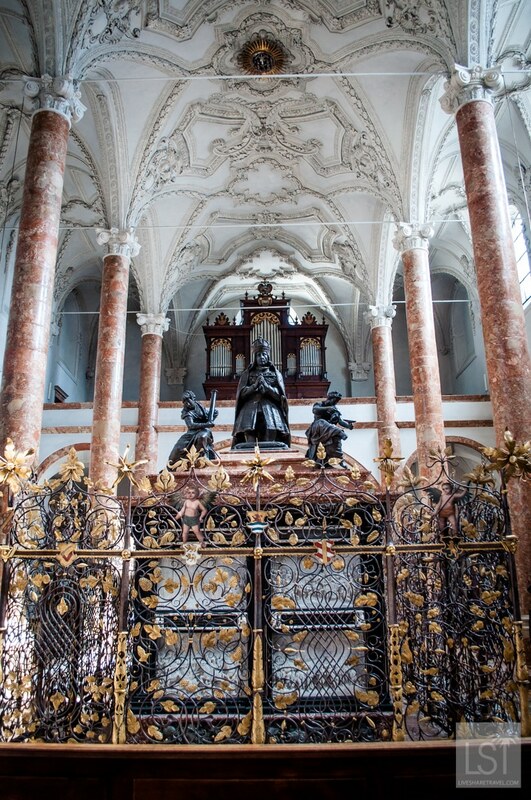 There’s a 450 year-old Ebert organ and an extravagant altar with a silver-embossed wooden Madonna in the Silver Chapel. Well worth a visit is the Museum of Tyrolean Regional Heritage, next door, but accessed through the same entrance. It has a large compilation of cultural artefacts highlighting the history of the Tirol. 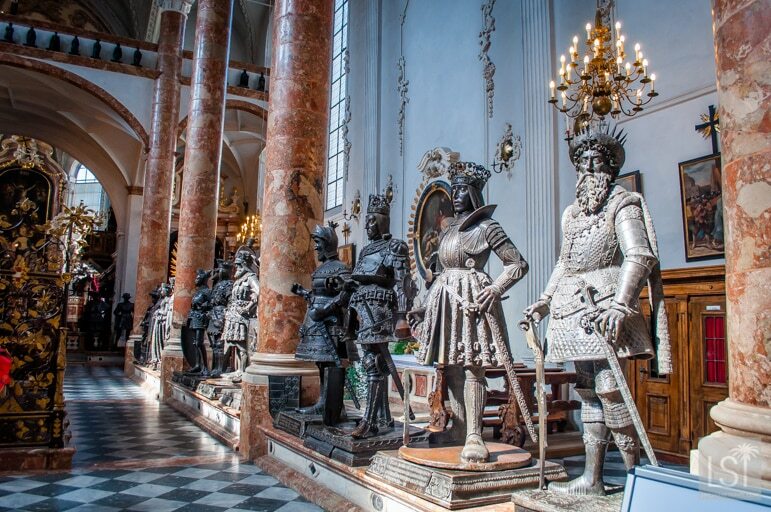 However the main attraction is the empty tomb of Emperor Maximilian I, an elaborately carved black marble cenotaph encircled by 28 huge bronze statues. The giants are historical characters – from Maximilian’s two wives, to medieval Brit, King Arthur. 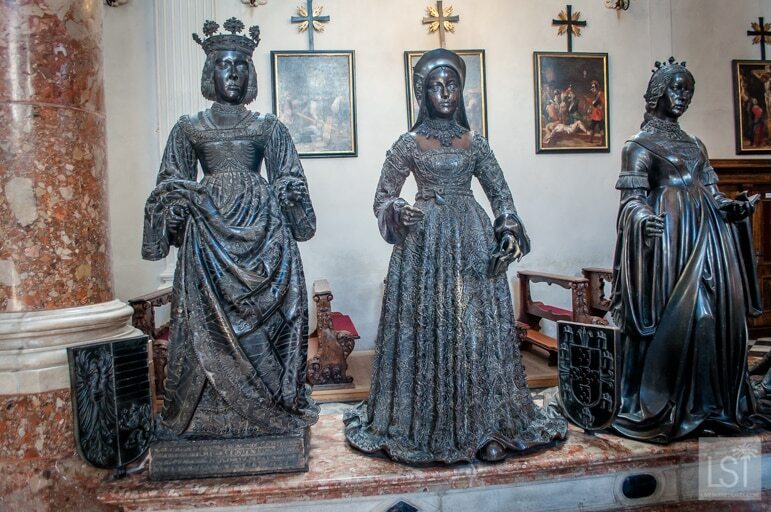 They’re not just life-like but the bronze work is so good, it reveals much about life at the time – from hairstyles to fashions. 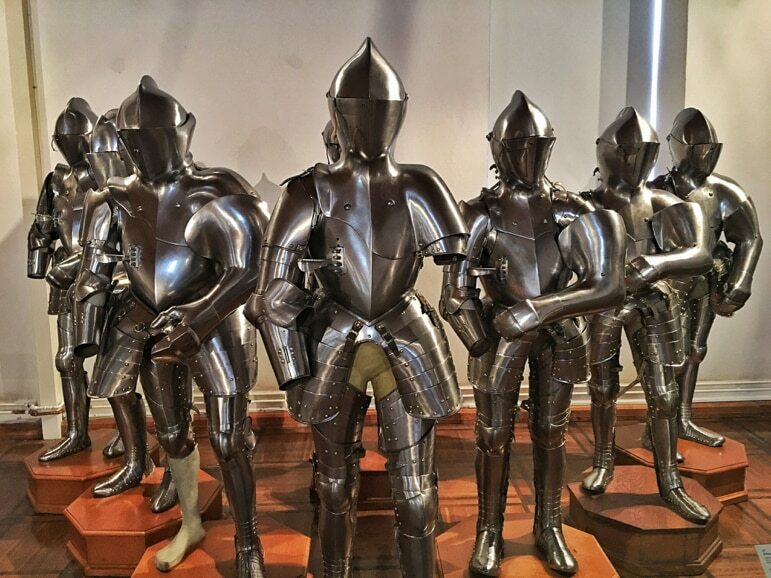 For those with a juvenile sense of humour there is a well-worn codpiece that has been so well rubbed over the years it shines like a beacon among the other darkened statues. 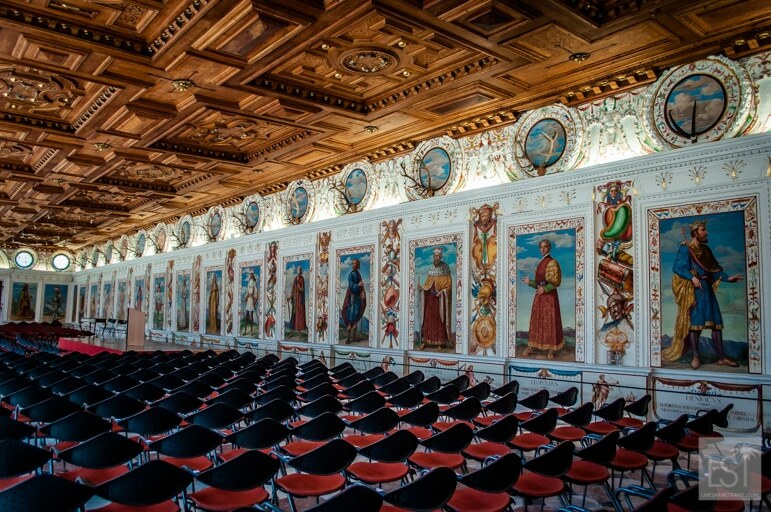 Innsbruck’s Imperial Palace, built in 1460 is testament to the grandeur, wealth and influence the city had. 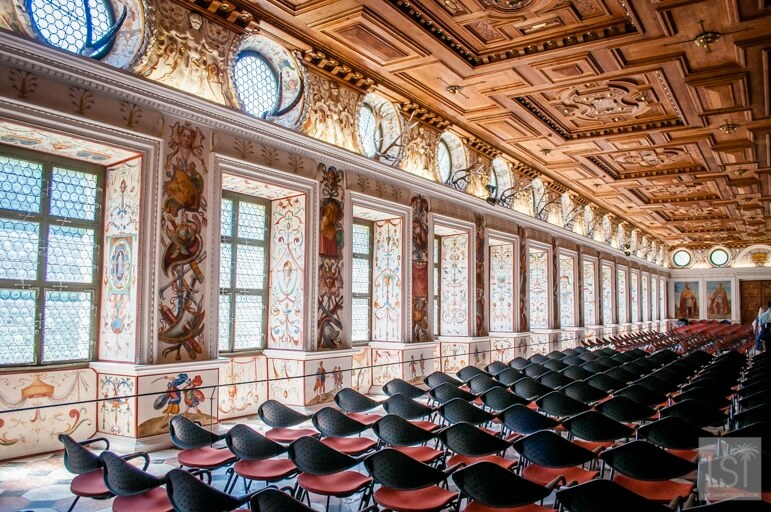 It is considered one of the most culturally significant buildings in Austria. The building’s Gothic structure was extensively updated in the 1700’s by Empress Maria Theresa, who added Baroque and Rococo stylings. 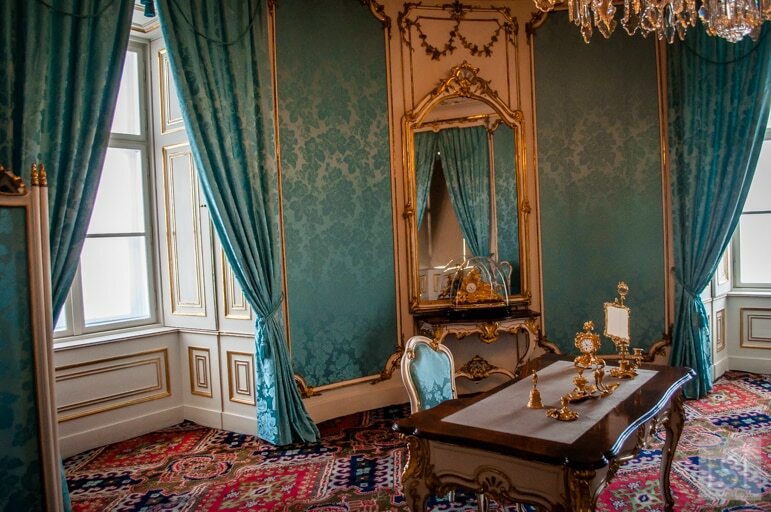 The palace’s opulent rooms are an insight into the wealth of the Habsburg rulers. 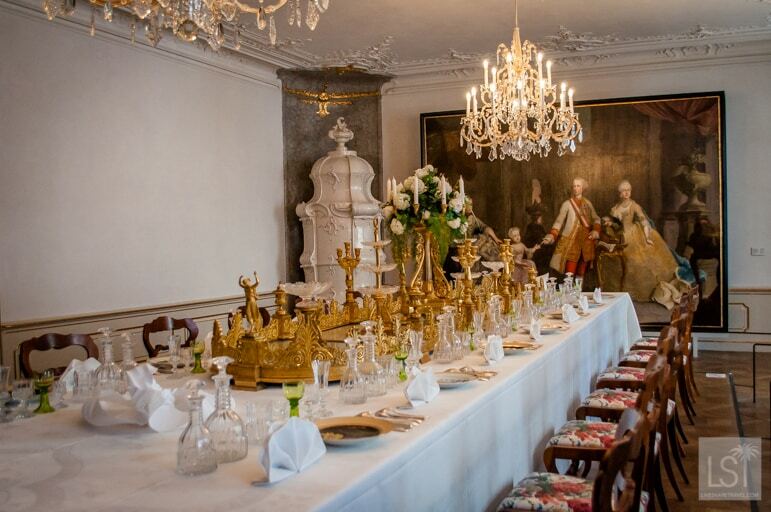 The huge banquet room, also known as the Giant’s Hall, with portraits of Maria Theresa’s children and grandchildren is one example. But the name of the hall refers to the original frescoes of Hercules that decorate the room’s ceiling. It’s a perfect place to lose yourself among imperial artworks. Other attractions are the guard hall, council chamber, chapel and the imperial apartments, full of period furniture. 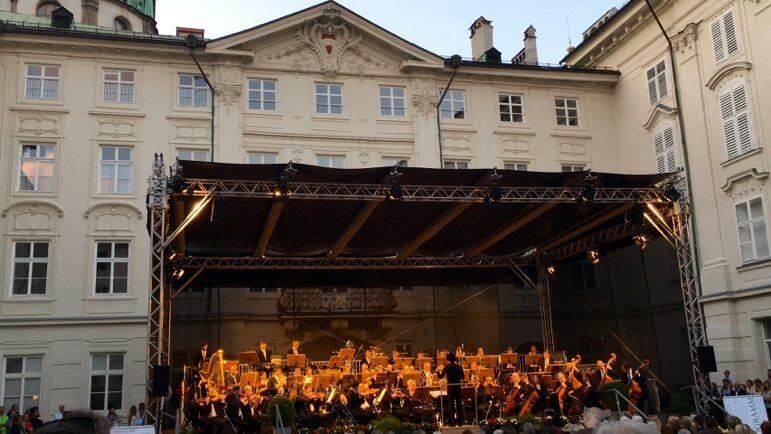 For 20 years Innsbruck Promenade Concerts have ensured summer nights have a musical beat. The free concerts take place in the Imperial Palace courtyard each weekday evening in July. Seats fill up quickly until it is standing room only. A different orchestra plays each night and with a different musical theme. We saw the Tirolean Symphony Orchestra put on a fabulous performance of movie themes. They opened with Gone with the Wind, then the haunting beauty of The Godfather, and ending with a true crowd pleaser – the theme from Star Wars. The quality of the musicianship was first-rate. Our tip: book around a week in advance for dinner at Café Sacher, where you can enjoy a meal in the courtyard and have seats to enjoy the music. Twenty minutes drive to the outskirts of Innsbruck is the imposing renaissance palace of Schloss Ambras constructed by Archduke Ferdinand II. Set in manicured gardens, where carefree peacocks strut, is an architecturally beautiful 16th century palace. 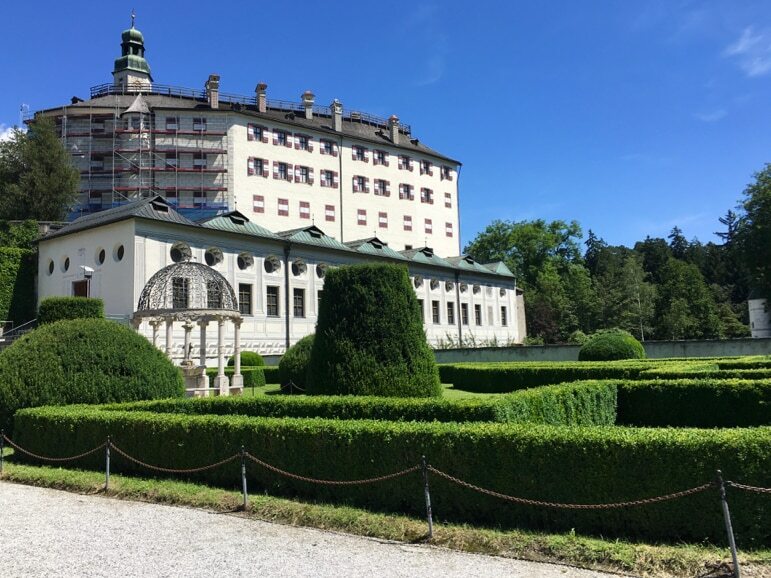 Archduke Ferdinand II was a great exponent of the arts and he left a significant cultural and historical legacy at Schloss Ambras making a visit one of the most cultural things to do in Innsbruck. The museum collection he established can still be admired in the Chamber of Armour, Chamber of Art and Curiosities and the Hall of Antiquities. 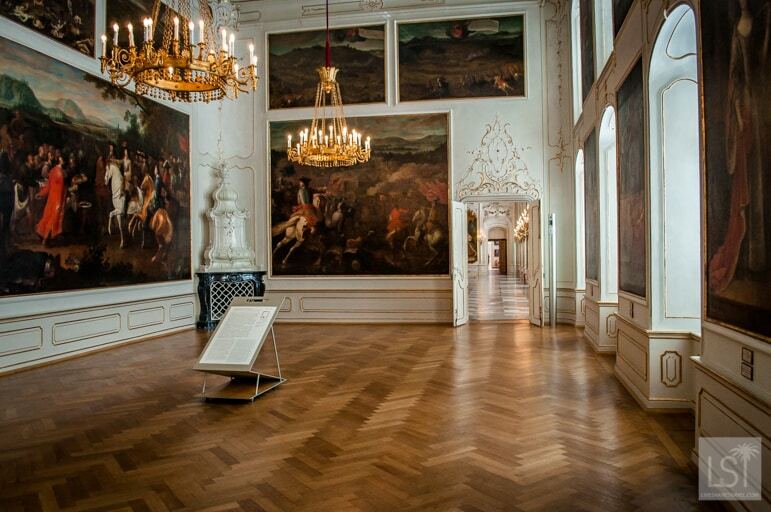 The palace is also home to the renowned art collection of the Habsburg Portrait Gallery, including more than 200 portraits. A highlight is the Spanish Hall, a spectacular 43-metre oblong room. 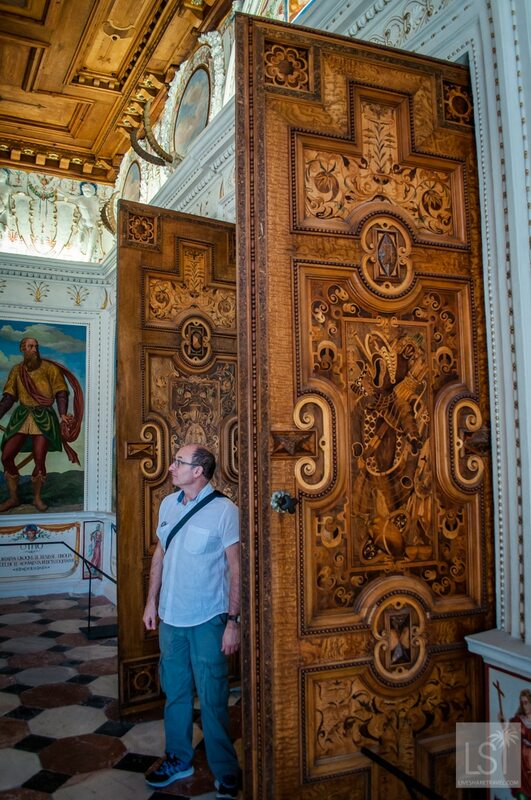 Walking through its heavy wooden doors I was impressed by the remarkable wood-carved ceiling. 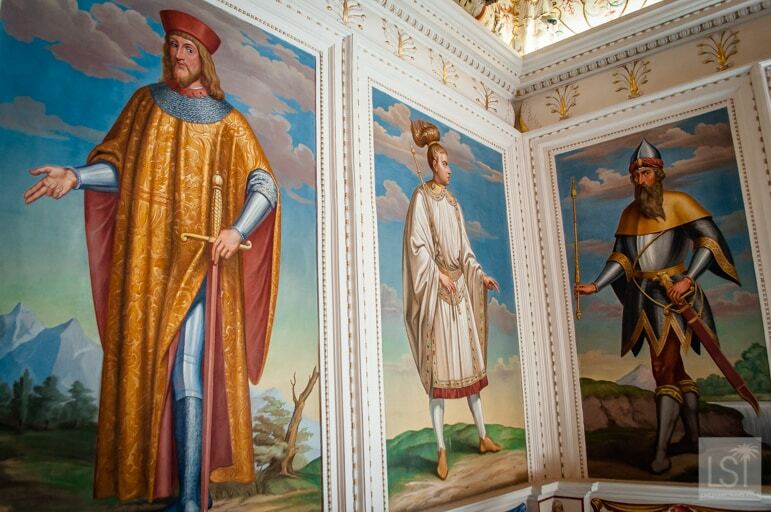 The walls are heavily decorated with portraits of former dukes of Tirol. 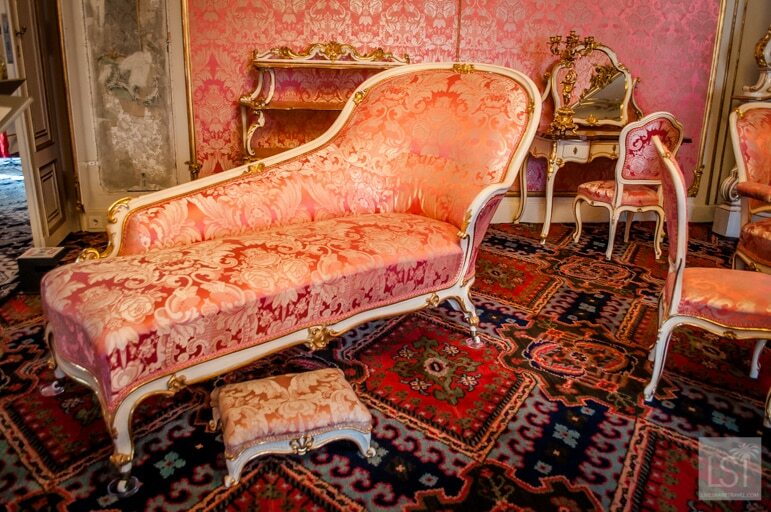 It is a room steeped in history that has been beautifully preserved. Bergisel ski jump was built for the 1964 Winter Olympics and also used for the games in 1976. 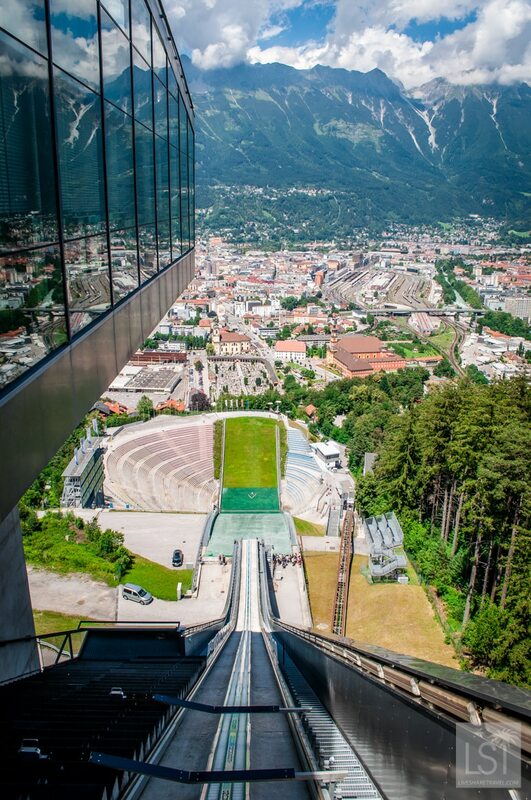 But Innsbruck decided it was by no means done with this landmark to its winter sports heritage. In 2003 Zaha Hadid was commissioned to design a new ramp. The ski jump, accessible via a lift and small funicular, towers over the city. 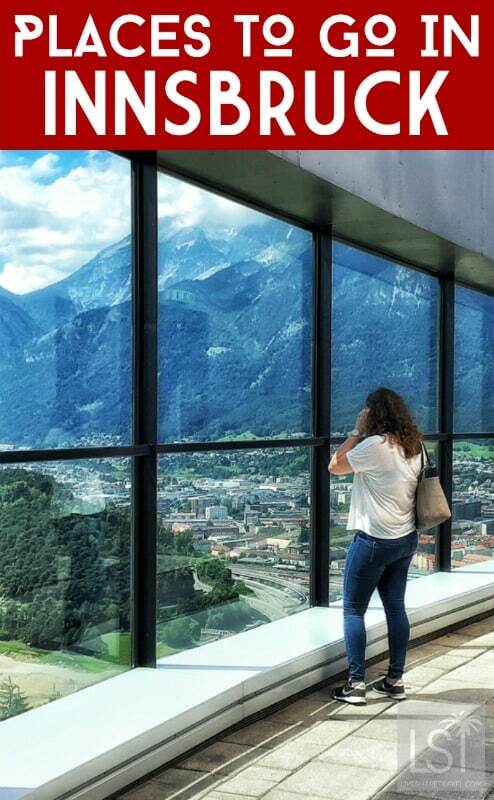 Its sweeping metallic body, panoramic windows and platforms providing one of Innsbruck’s best viewing points. 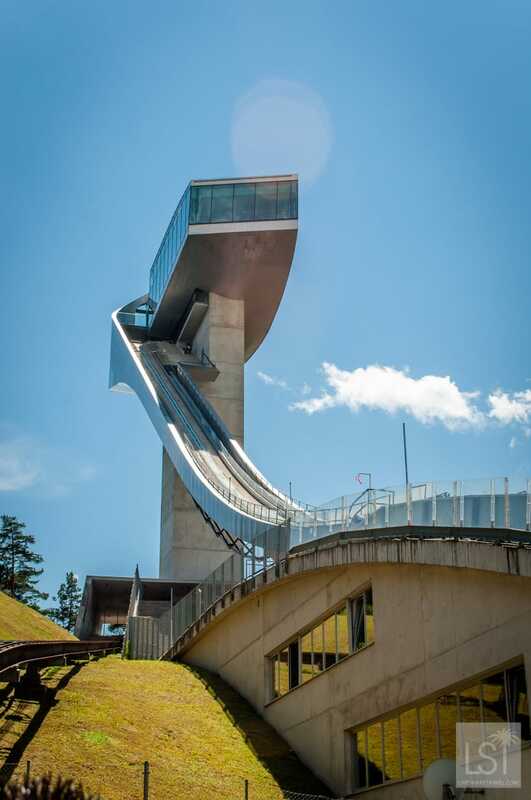 But it’s also still in use as an all-weather ski jump and you can watch athletes hone their skills as they sail off the edge of the 250 metre summit at around 120mph. You can even get a jumper’s-eye, not-one-for-the-faint-hearted view onto the slope from the top. And there’s a terrace and panorama restaurant, which provide outstanding views while dining. 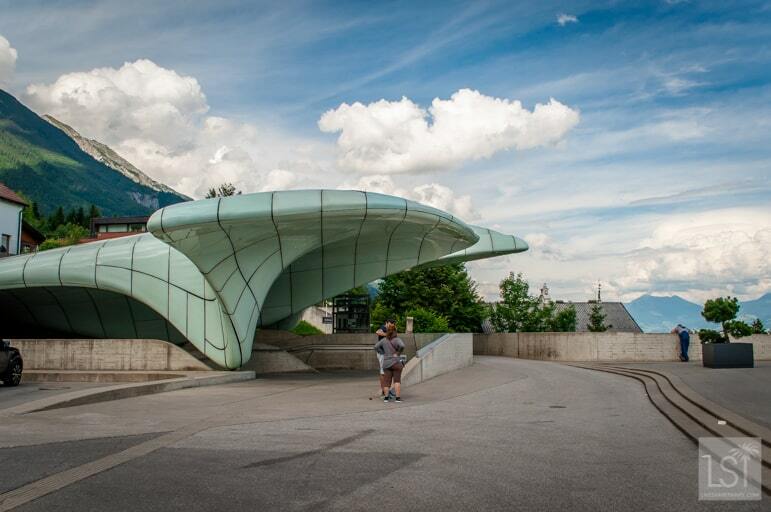 If you’re a fan of the wavy form of Hadid’s work, a journey to Innsbruck’s highest peak will give you plenty of opportunity to enjoy her work, and the views. After falling in love with Hadid’s ski jump, the city requested she design the stations on the Hungerberg funicular taking visitors from 560m in the city centre up to 2,256m. 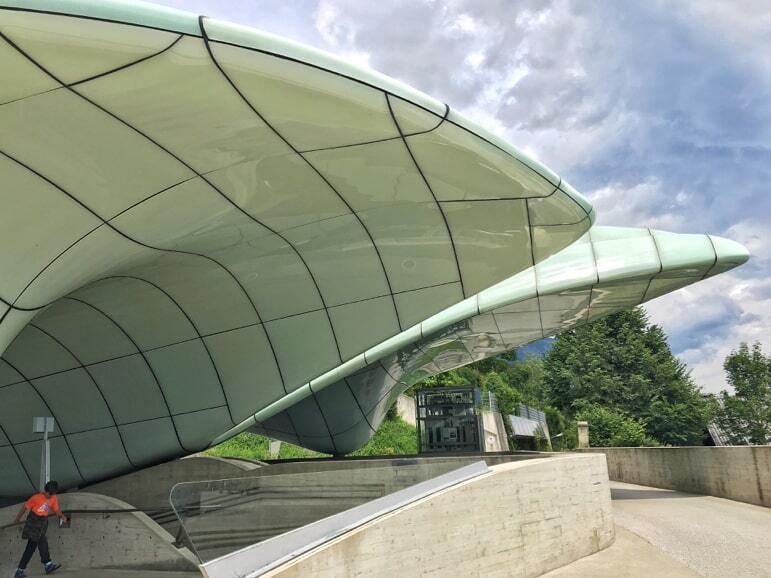 The curves of the funicular stations fit perfectly within the mountain peaks – Hadid’s work was inspired by the ice and snow landscape of the Alps. 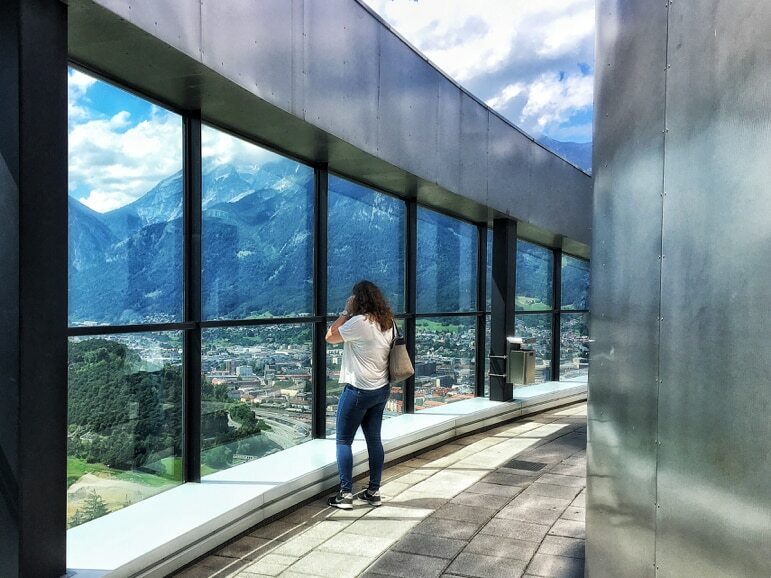 From the last of the four stops on the funicular, at Hermann Buhl Square, take in the first view of Innsbruck from on high before switching to the panorama cable cars of the Seegrube and Hafelekar to get to the very top. As you near the top of Nordkette, and the bustle of the city fades away to the silence of the countryside, there are a number of walking routes to explore. 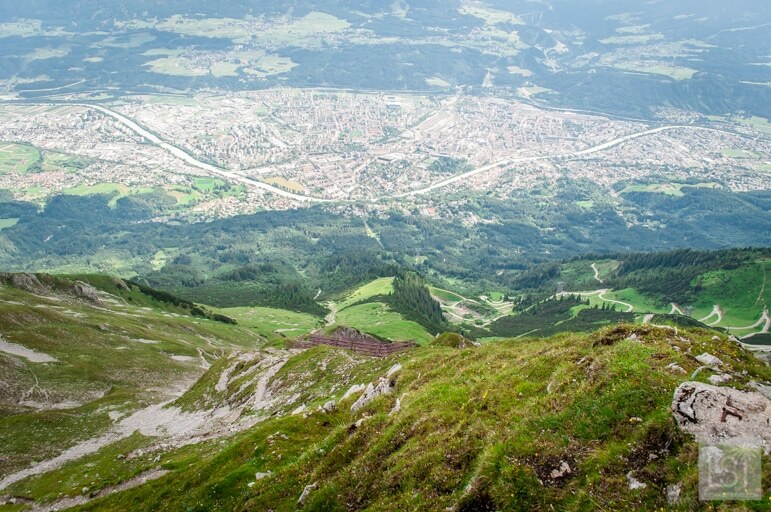 A short 10-15 minute walk takes you to the highest point – an opportunity to enjoy a 360-degree view of Innsbruck and the surrounding Tirolean Alps. If all of this leaves you a little light-headed, then our next recommendation won’t exactly bring you back down to Earth. 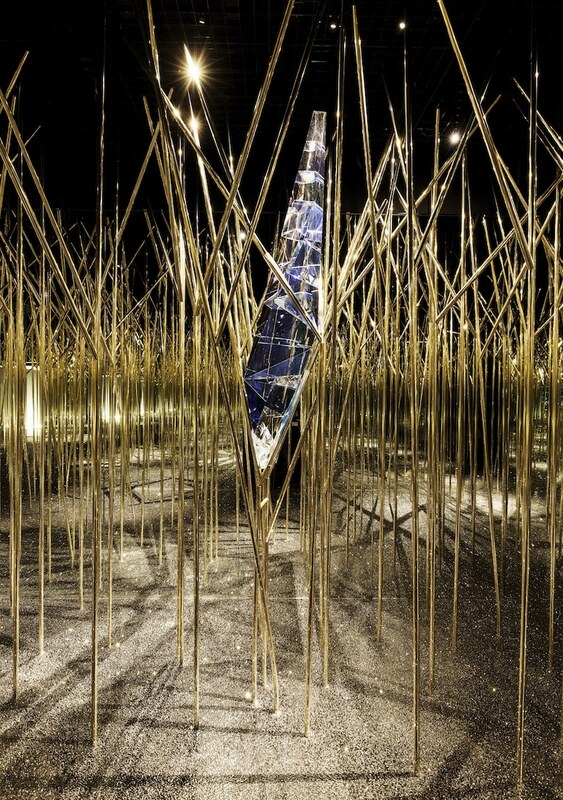 But Swarovski Kristallwelten is perhaps one of the most unexpected and spectacular attractions in the Tirolean Alps. 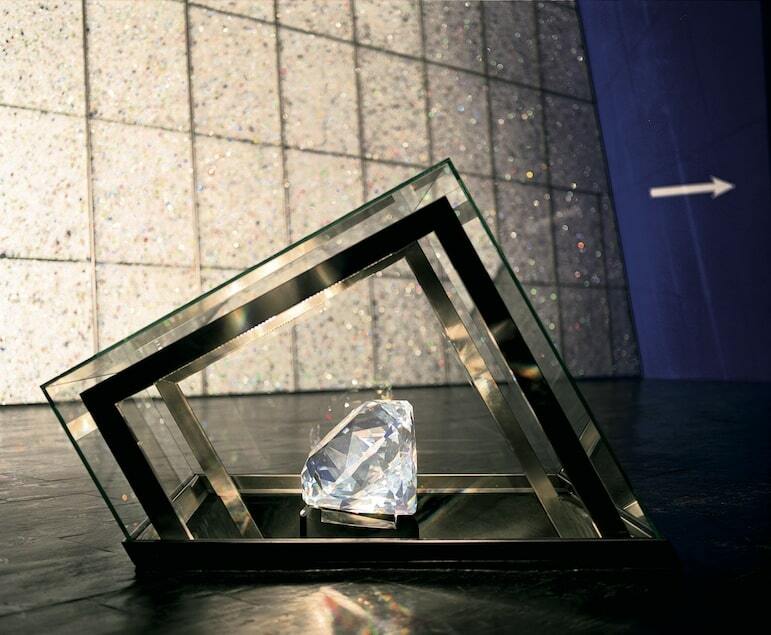 Part museum, part modern art gallery with works by famed artists and the odd celebrity, Swarovski Kristallwelten, or Crystal Worlds, is a short shuttle ride outside Innsbruck to its location beside the Swarovski factory in the town of Wattens. It’s well worth the trip to a place we described as an astoundingly artistic crystal kingdom on our first visit. And with a number of new exhibits it’s now even more blingy and spectacular. 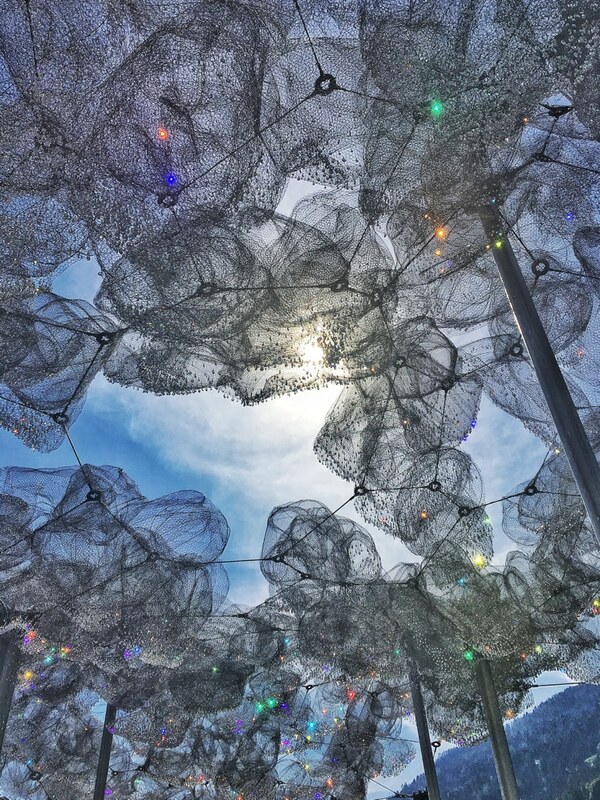 Our favourite installations include the new Crystal Clouds – puffs of wirey clouds that shimmer with 800,000 crystals from a reflective pool. 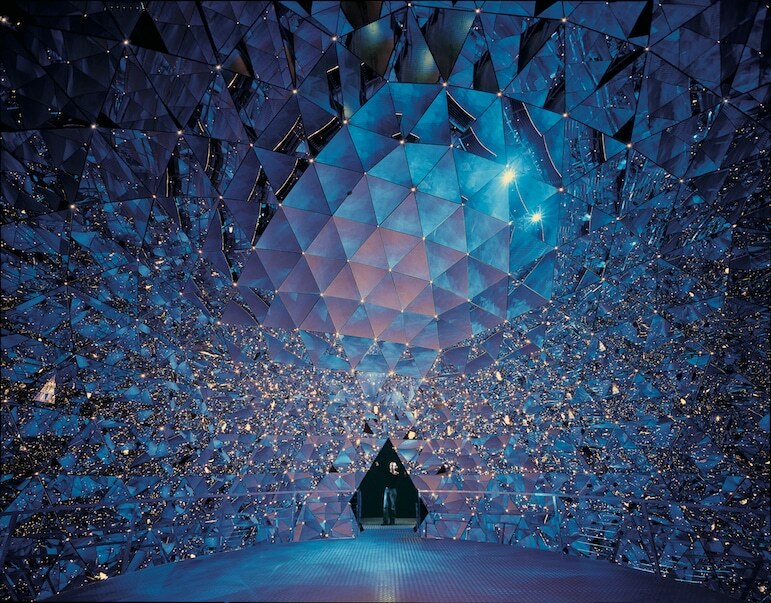 Then, within its so-called Chambers of Wonder, there’s the Crystal Dome, giving you a sense of what it’s like inside a crystal, and Reflections – a beautifully disorienting presentation on 300 facets and 48 polygons made of crystal. There’s also an indoor play tower with crystal-like shapes for ages nine to 99, a maze and the most wonderful giant at the foot of the Tirol’s own giants – Innsbruck’s ever-present mountains. Naturally, there’s also a shop there if you want to take your own work of crystal art (or jewellery) home. We stayed at Adler’s Hotel, a modern design hotel that’s well placed for the old town and the train station. 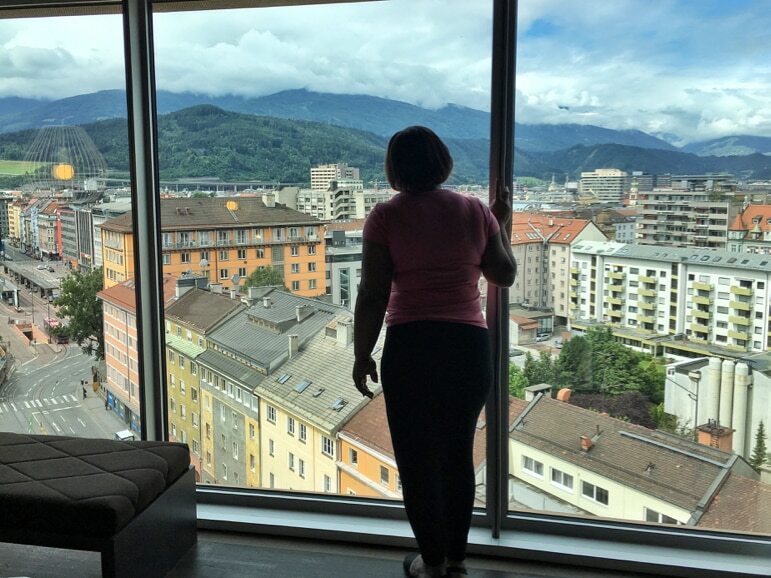 Although a little on the small side, we loved its rooms with panoramic windows filling the eye with city and Alpine views. If it’s possible to get even more panoramic (there’s way more than 180-degrees up there) the hotel spa was also good and quite extensive for a city hotel which can sometimes be limited by space. Add to that the 12th floor panorama bar and restaurant are also worthy of note for great food and a glass of Grüner Veltliner with some of the best views in the city. 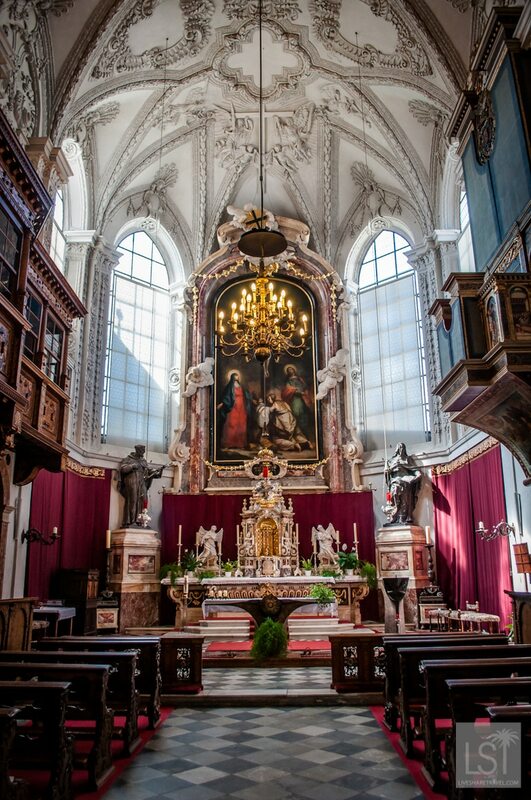 Whatever your cultural poison – from modern to imperial, Innsbruck will impress. 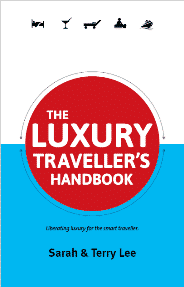 But there are many other great cities and regions in Austria, read about the Upper Austria city of Linz on Borders of Adventure, secretly cool Graz on Inside the Travel Lab, things to do in Salzburg on Time Travel Turtle, or explore culture and nature in affluent Vorarlberg, on Global Grasshopper. If you love Austria as much as we do, take a look at our top places to stay and things to do in Austria and look out for another story on Innsbruck later this week. Ah, Innsbruck. I’ve passed through many times but never had the chance to stay for long. I quite like the look of the crystal palace! Oh we loved it! And yes, the Swarovski Kristallwelten is very cool, and even better now than when we first visited a few years ago. What an elegant city! I love that mix of old architecture, crystal palaces and snow-dipped mountains. I’ve only stayed briefly in the past but would love to explore more and stay longer soaking up that scenery. I can’t believe you didn’t include the Alpine Zoo, which we visited a few years ago and which is lovely. I’d recommend it to any zoo lovers! 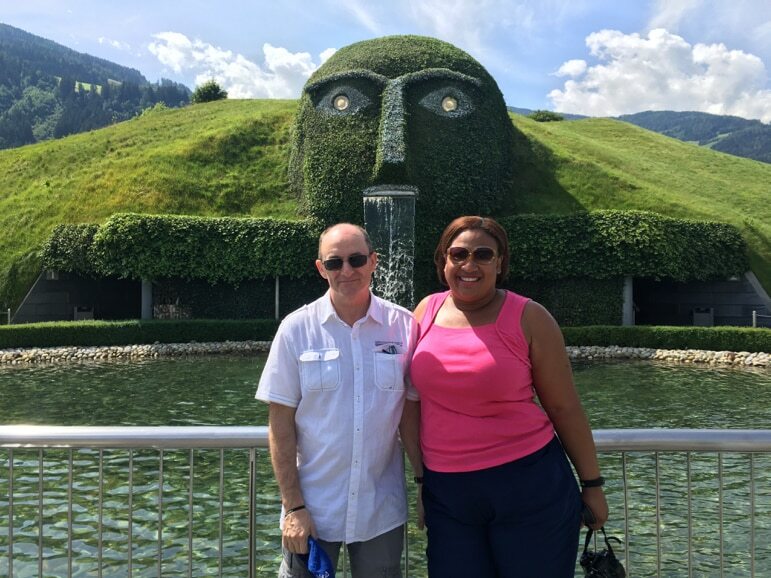 Hi Sue, there are just so many great things to do in Innsbruck, but we can’t fit them all in. However, it’s always good to hear of other recommendations, so thank you. Ahhhh I just added Swarovski Kristallwelten to my list when I visit in April. 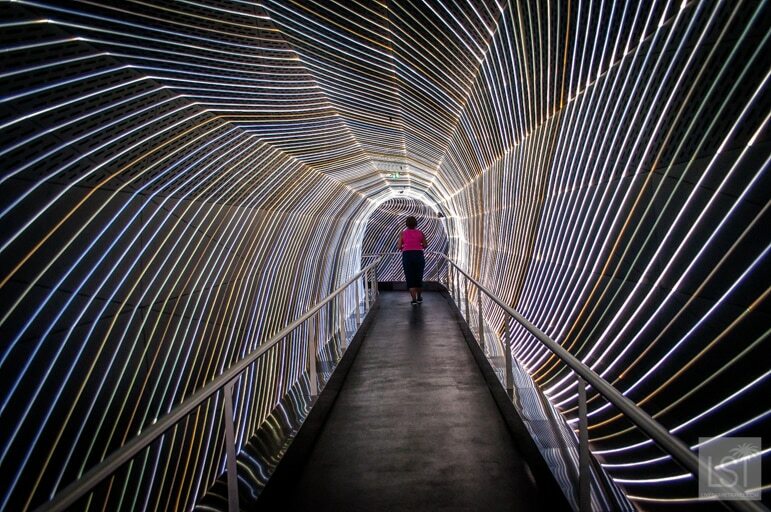 Those exhibits look so incredible!